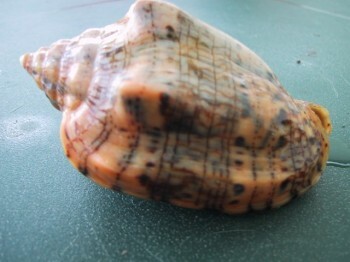 Pictures of a Live Cypraea hirundo francisca from Seychelles : a scoop !! 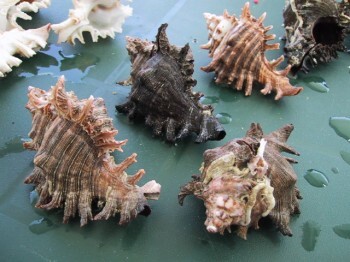 Collecting in The Solomons, Or No Wonder Gene Came Home With a Grin on His Face! 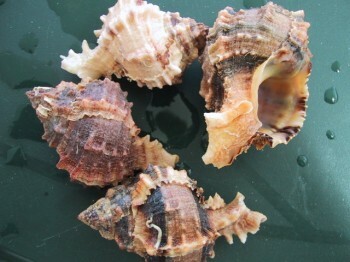 Where are the Tahitian seashells hiding ? 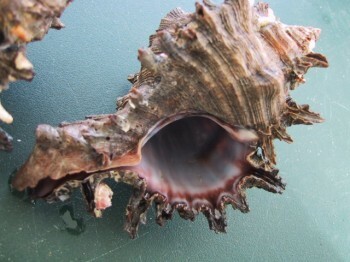 Conus gubernator leehmani in the Seychelles ? 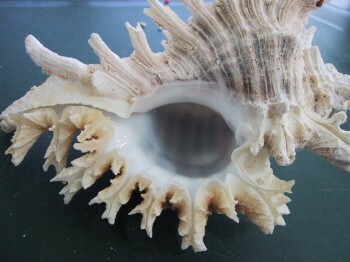 A new Cypraea testudinaria from northern New-Caledonia ? 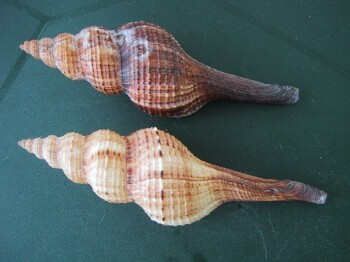 Conus boui Da Motta, 1988 Two species under the same name ? 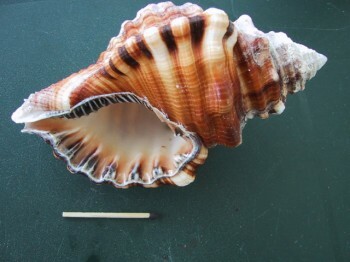 Conus auratinus sur Tahiti ! How to be sure on shell data ? Spelling : a single or double “i” at the end? 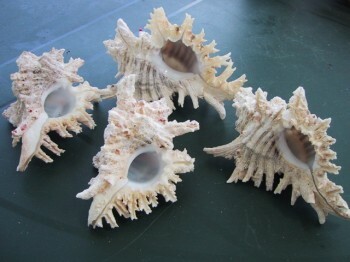 How to clean shells ? 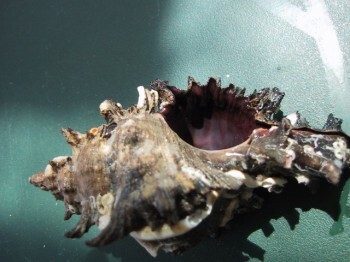 What causes the holes in bivalve shells? 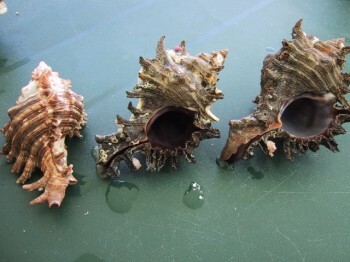 What means “crabbed” shell ? How do you dry coral ? decided to go give a visit to our friends in Venezuela in june 2001. 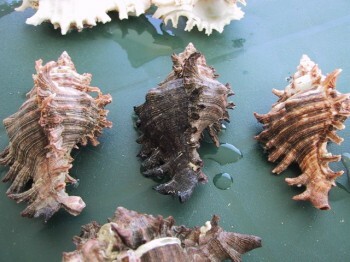 They live in Puerto la Cruz, near Barcelona, 30 minutes far from Caracas by plane (5 hours by car). to stay 3 days in an old hacienda in a cacao plantation. If you go to Venezuela do not miss that !! the owner of the hacienda bukare (Phone : 094 652003 Fax : 094 652004). You will really enjoy your stay there. can take you to visit part of the delta, with so many birds and dolphins !!!!!! Exceptional really !! one more visit to the islands. Well, first of all, I want to tell taht I did not see any mouse cowrie at all, not even an old beached one. 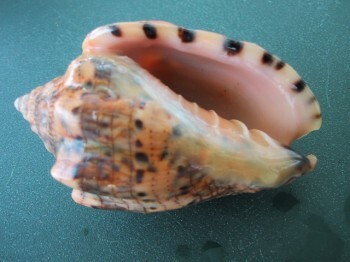 I had a bunch of pictures with me of the Cypraea mus with me to show to local fishermans. 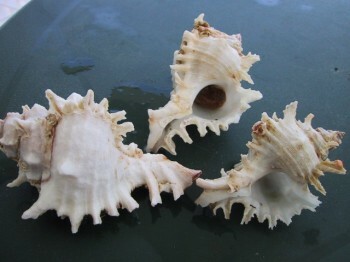 They never saw such shell, even on the beach. One man had seen it but it was north Caracas. So we could say that mus cannot be found in south Venezuela. 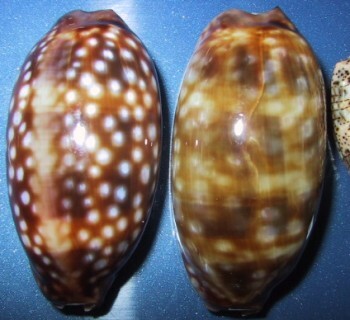 I found two cowries species : the beautifull Cypraea zebra and the common Cypraea cinerea. 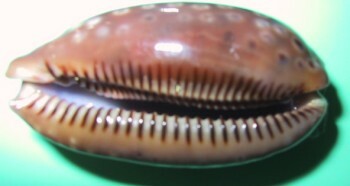 The Cypraea zebra seems to me a common local specie and Cypraea cinerea less common… funny ! are really compact and it is very difficult to look under. I only looked under the huge pieces of dead coral one meter ahead the giant coral formations. The only Cypraea cinerea live I found, is a green one due to aberrant algae attack, the mantle covered all the cowrie though. On the Faro island, I found a spot where there were many huge dead Voluta musica. I saw only one live trying to bury in the sand. 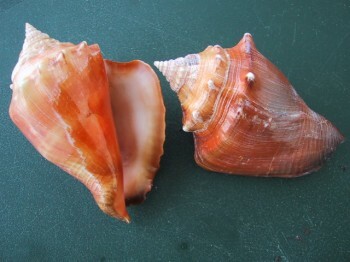 They are enormous (60-70 mm), always orange. Anyway on the other isalnds i also found such spots.